The Supreme Court today said that admission to post graduate medical diploma courses in Haryana should be made on the merit of in-service doctors who have completed three years service in remote and difficult areas. 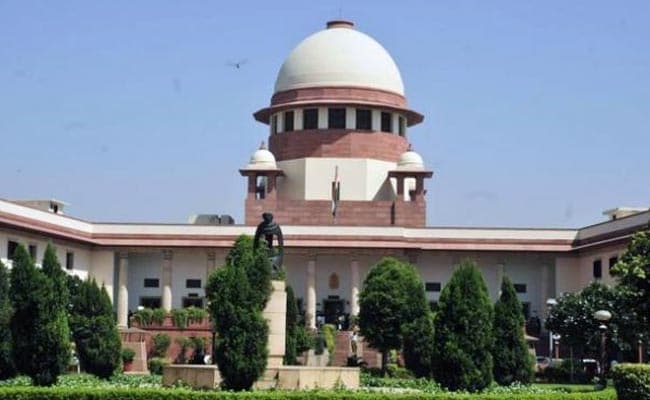 New Delhi: The Supreme Court today said that admission to post graduate medical diploma courses in Haryana should be made on the merit of in-service doctors who have completed three years service in remote and difficult areas. A vacation bench comprising justices Ashok Bhushan and Deepak Gupta clarified that those candidates, who under the Medical Council of India (MCI's) Post Graduate Medical Education Regulations 2000 have obtained a no objection certificate from the state government, shall be considered for admission to 50 per cent seats. "In the peculiar facts and circumstances of the present case, we are of the view that the submission made by Gaurav Sharma (MCI's counsel) that the admission to post graduate diploma courses, on 50 per cent posts, should be made on the merit of in-service doctors who have completed three years service needs to be accepted," the bench said. The bench further clarified that "only those candidates, under regulation 9 (VII), for against 50 per cent seats, shall be considered who have given their application and obtained no objection certificate from the state of Haryana". "From the aforesaid candidates, who have obtained no objection certificate, admission shall be made on the basis of merit of NEET for 50 per cent diploma seats," it said. During the hearing, the bench was informed that mop-up counselling for admission is scheduled on June 9. It directed that a fresh counselling be conducted on June 9 and if not completed on June 10, the seats falling under 50 per cent quota in PG diploma courses, shall be filled by giving opportunities to candidates who have obtained no objection certificate. The bench also noted that as on date, the Haryana government has not notified any list of difficult or remote areas which can be utilised for giving weightage to the candidates. "The object and purpose of giving 50 per cent seats in post graduate diploma courses is to give incentive and encouragement to those in-service doctors who have rendered their service in the remote and/or difficult areas," it said. The order came on a petition filed by in-service doctors who have applied for admission in PG degree and diploma courses in Haryana. They have claimed that having rendered service in remote or difficult areas, they were entitled for the weightage as admissible under regulation 9 and despite apex court's May 25 order, no list for remote and difficult areas was notified by the state. The petitioners said that counselling was conducted on May 31, June 6 and June 7 for admissions in PG courses. Referring to the regulation 9, they said it envisaged a weightage to those in-service doctors who have rendered their services in difficult or remote areas, and they were deprived of this statutory weightage despite having served in such areas. The state government countered their submissions saying that after the May 25 order of the apex court, the time was "too short to collect the necessary data and issue a list" and therefore, it decided not to give weightage under regulation 9 and admissions have been conducted on the basis of merit in degree and diploma courses.